Each piece of your property should contribute to the value of your property. Outdated fireplaces can present a safety risk, decrease the value of your home or simply become an eyesore. 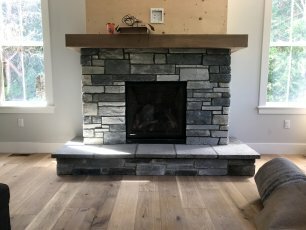 If you decide to purchase a new home and decide that it doesn’t feel complete without a fireplace, contact ACL Masonry to discuss your fireplace installation. We work around your schedule to ensure that our process interferes with your life as little as possible. When it comes to your budget, we work around that to provide you quality craftsmanship without the heavy price tag. Whether your fireplace installation is simple or complicated, our team has the expertise to complete the project safely and efficiently. We’re fully insured and carry all certifications needed for safe operation from start to finish. Whether you’re ready to revamp an old fireplace or you need a new installation, our team is one call away.